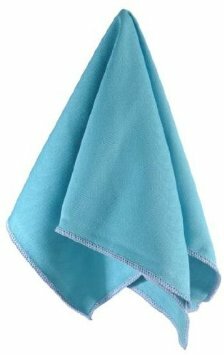 Our microfiber cleaning cloth – 1 pack is perfect for cleaning and dusting any surface. Specifically for First Surface Mirrors it is the ideal product for keeping them clean and streak free. Two times more thread count than competitor microfiber cloths at 330 GSM threat count. This product is made with 85% Polyester and 15% Nylon. It may be washed 100+ times for repeat use.